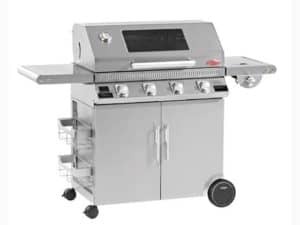 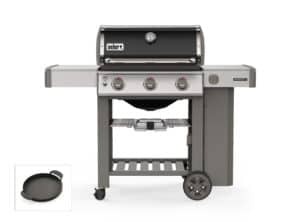 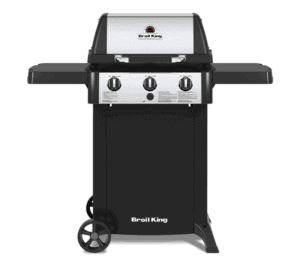 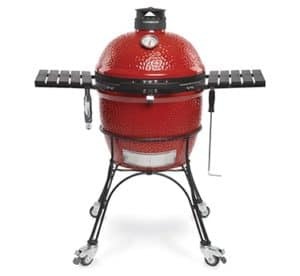 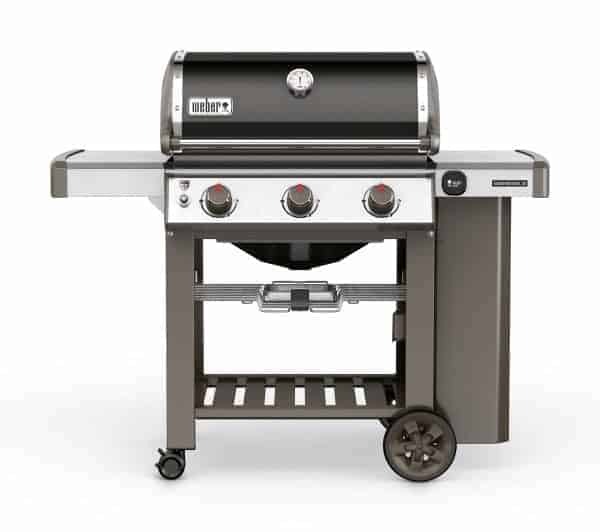 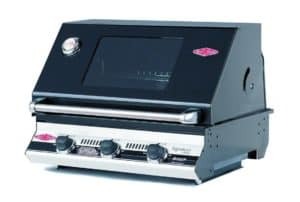 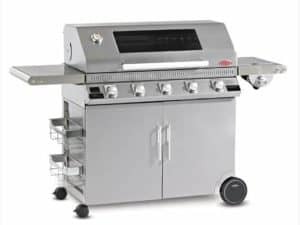 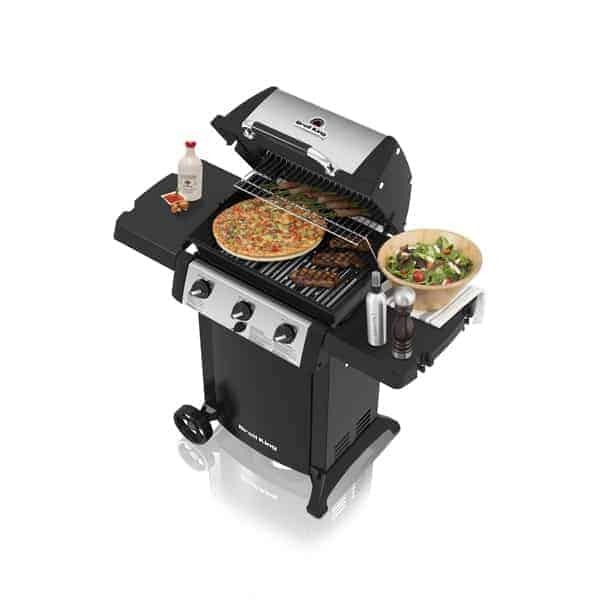 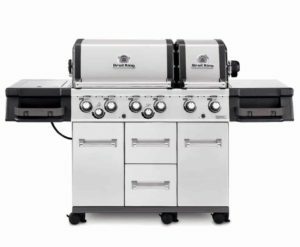 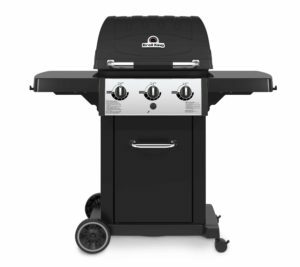 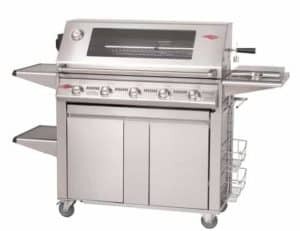 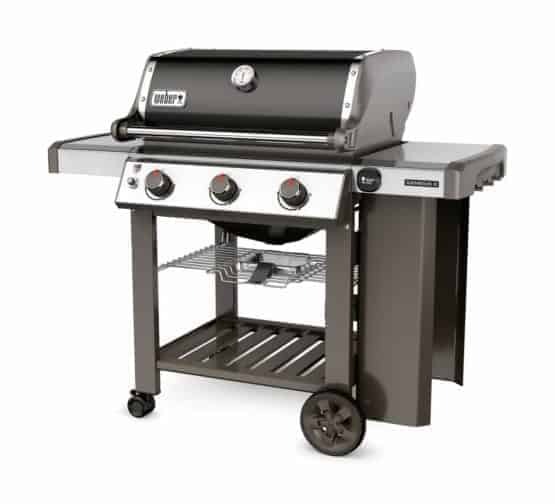 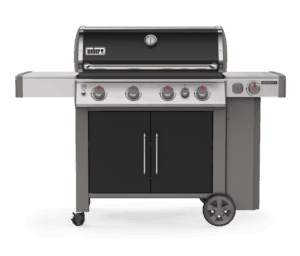 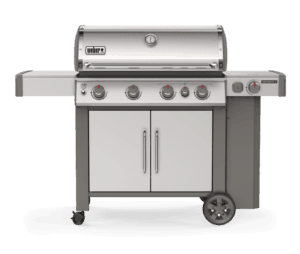 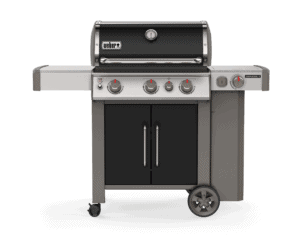 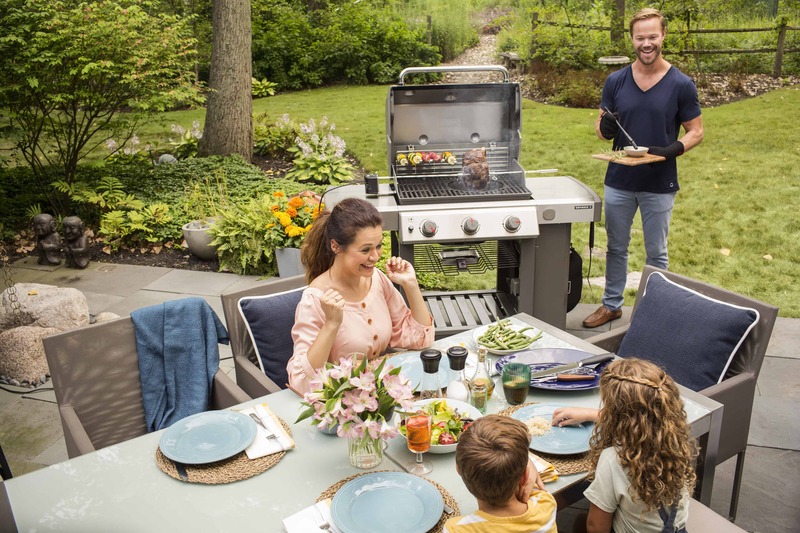 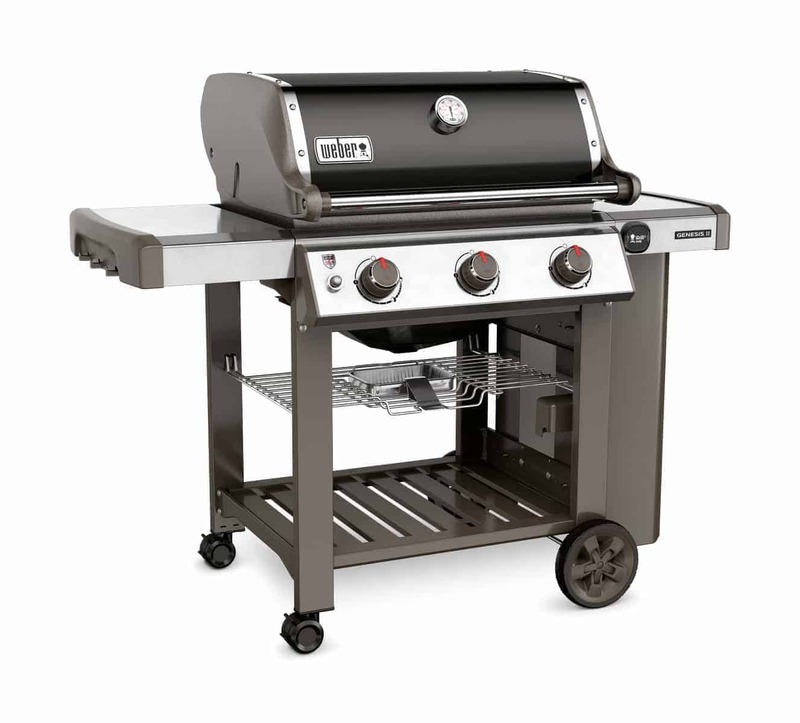 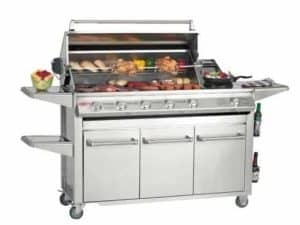 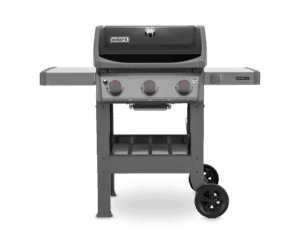 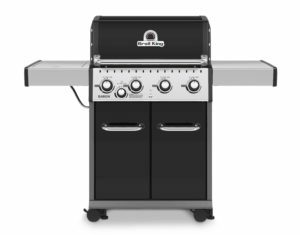 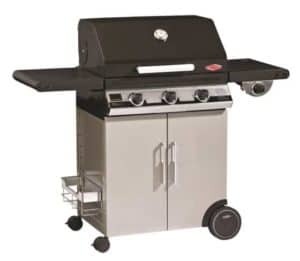 For size and performance reliability and prestige this three-burner gas barbecue is ideal for entertaining a small crowd or a perfect solution to any family meal. The sleek open-cart can be used for placing serving trays, while grilling tools hang from the integrated tool hooks. 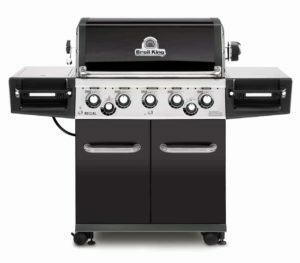 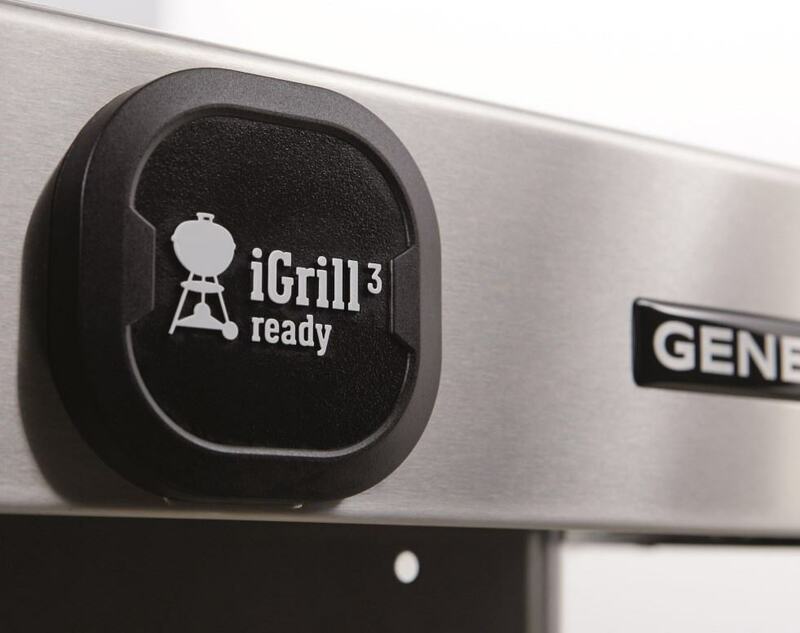 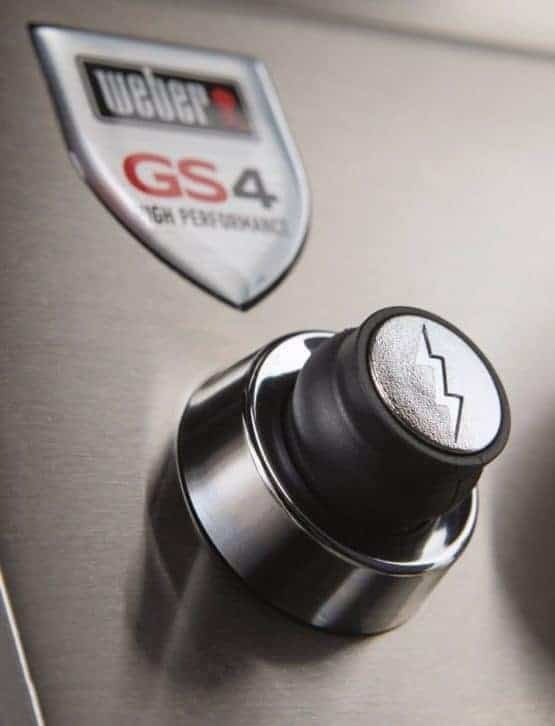 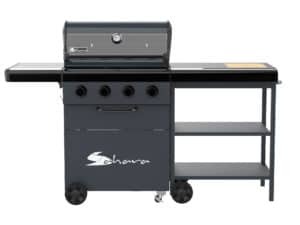 Armed with the GS4 high performance grilling system, ample cooking area, and convenient side tables for work space to prep your next masterpiece. 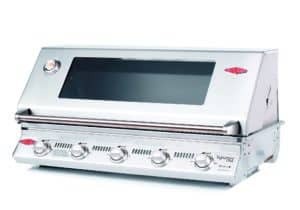 Infinity electronic ignition system – Burners are ensured to ignite every time. 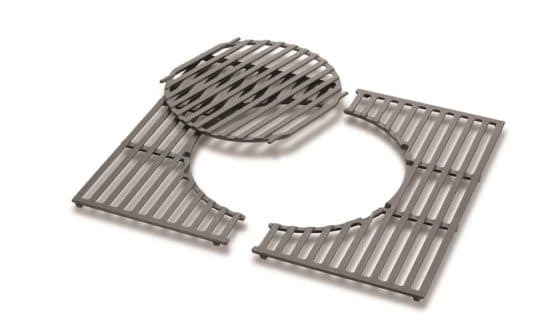 Flavorizer® Bars – Angled to catch drippings that smoke and sizzle, adding a smoky flavour to your food. 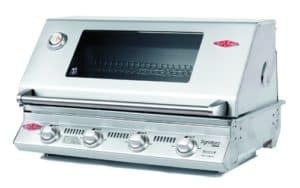 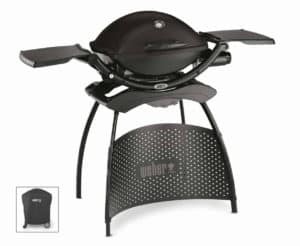 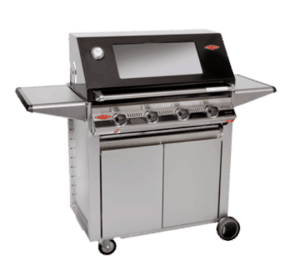 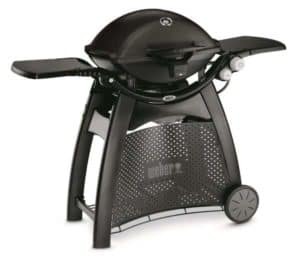 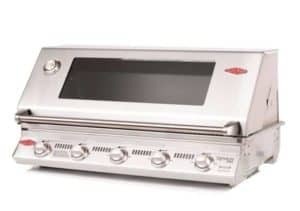 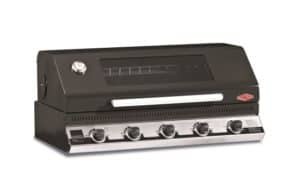 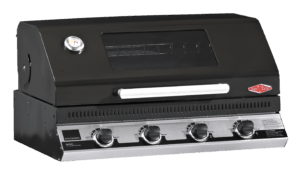 Porcelain-Enamelled, Gourmet BBQ System® Cooking Grate For use with Gourmet BBQ System® inserts. 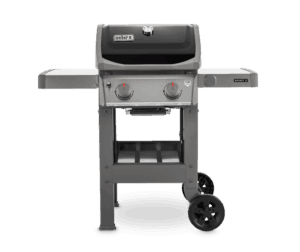 Sleek Open Cart Design – provides additional room and accessibility of your barbecue tools. Side Tables with Integrated Tool Hooks – Use the side tables to keep platters, seasonings, and barbecue tools within arm’s reach. 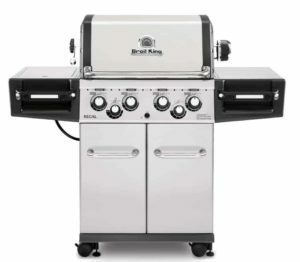 The left table folds down in two and three burner models. 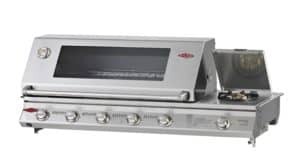 Tuck-Away Warming Rack – Keeps food warm while food cooks below. 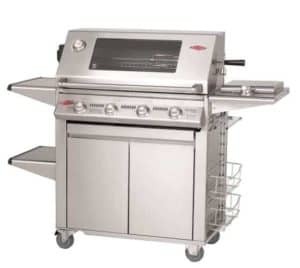 Fold it down when not in use for easy storage. 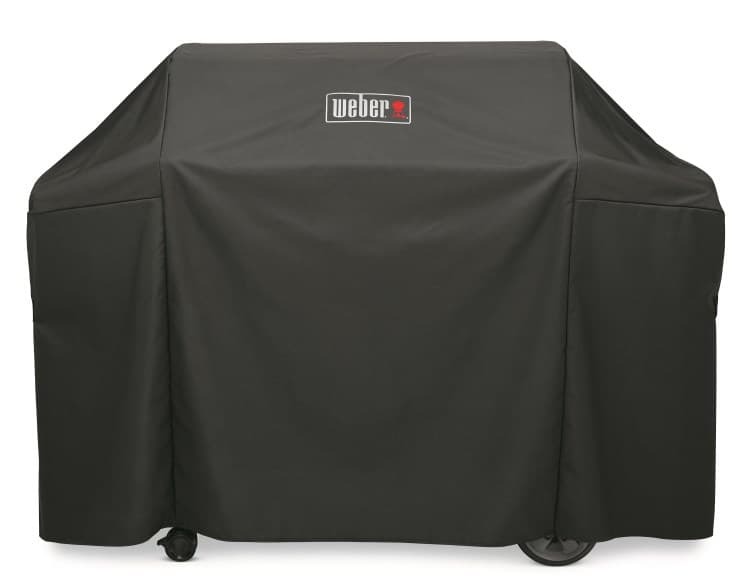 Easy Access Gas Tank Storage – Mounting the gas tank to the outside of the barbecue makes the tank easy to access and hidden from view. 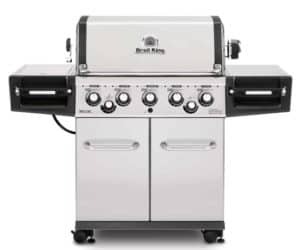 regularly and replace at least every 5 years as per the manual.